From upcoming and one to watch director Peter Goddard comes the opportunity to support to what is set to be one of 2014’s best British horrors. Goddard has already proven himself as an imagination to reckon with. His first feature, ‘Season of the Witch’, had enough reminiscent to classic horrors ‘Wicker Man’ and ‘The Blood on Satan’s Claw’ to certify it as one of last year’s highlights. With his second feature, ‘Any Minute Now’, the ante was upped and with a more constructive and polished ghost story certainly earned the praise. The film is now set for a US release showing Goddard is not just set for domestic greatness. Now he needs your help to make his third feature which is set to bring a disturbing and unsettling experience. ‘The Devils Harvest’ is a new take on an old horror staple. It starts out by following four teenage girls as they get spend the weekend in the woods. They spend the evening telling stories around the campfire (these in turn form three short films) Then slowly one by one each girl is killed off leaving only one surviver. In traditional backwoods/slasher horror films this is where the film would end, but this is only the half way point in this film. The film then moves through different horror genres and themes, before reaching it’s stunning climax. It is a co production between Devils Avalanche Films and Naked Films. It was written by Peter Goddard and Tezz Elliott with additional material by Sam Mason Bell, Jackson Batchelor and Rob Talbot. And everything will be funded by crowdsurfing. No lottery grants, no government funding. Every penny will come from you!! 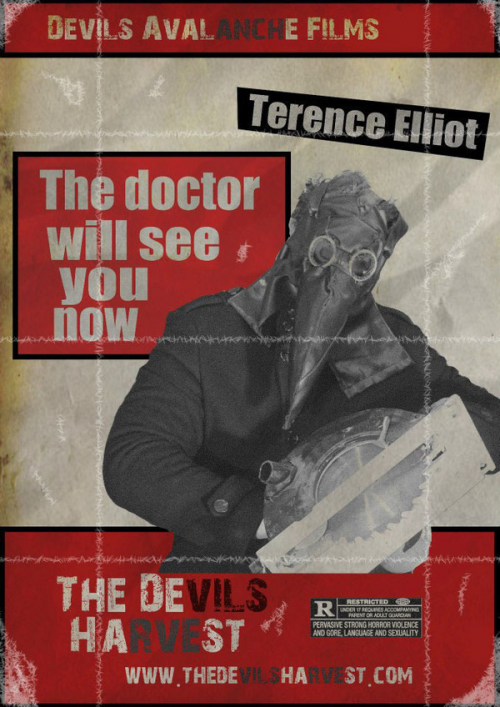 So to be a part of ‘The Devil’s Harvest’ head to indiegogo and pledge now.